Daily Debate: If You Could Take Any One Mechanic From Another Series To Add To Zelda, What Would It Be? The Zelda series is pretty diverse when it comes to game mechanics, whether it’s inventing the Z-targeting system that almost every action game to date uses in some form, or polishing the way items can be used. That being said, Nintendo also isn’t shy about borrowing from other games and tweaking their systems to find new innovations. In many ways, this is what helps to make the Zelda franchise unique and interesting to play. Breath of the Wild is the most recent title to display these tendencies. When interviewed about its mechanics, both Eiji Aonuma and Shigeru Miyamoto mentioned The Elder Scrolls V: Skyrim as one of the biggest recent influences. From implementing cooking to the way the open world environment was designed, Nintendo had a lot of fun iterating on these new concepts for Zelda. 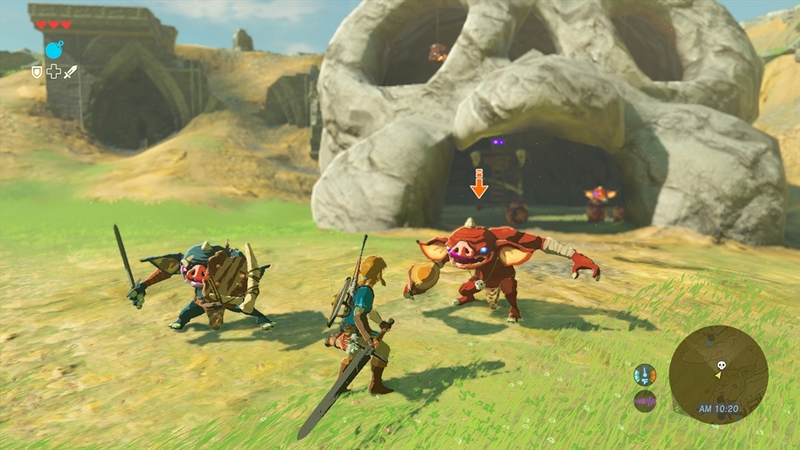 With eyes towards the future, it begs the question of what other interesting or fun mechanics in other games could be used to great effect in Zelda? I for one am quite fond of The Elder Scrolls, but I’d also like to see some things added from games such as Bloodborne or perhaps even Fable. For example, what if in addition to being able to build settlements like Tarrey Town, you could also over the course of your adventure see it change and progress like in Fable? Or perhaps a kind of legacy system where you can court a romantic interest, start a family and watch Link age while he attempts to save Hyrule? If he can’t manage it in his lifetime, perhaps you could then take control of his son or daughter and complete his or her father’s destiny? There are a lot of potential functions and mechanics in video gaming’s vast history to draw from. So enough from me. What about you Zelda fans? If you could take any one mechanic/feature from another series to add to Zelda, what would it be? Share your ideas in the comments below!